Reserved queues allow you to purchase transcoding capacity for a 12-month period, instead of paying per minute for each output. 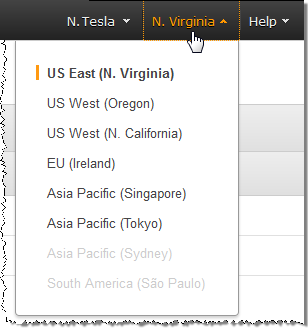 On the navigation bar of the AWS Elemental MediaConvert console, choose the Region where you want to create the queue. A default, on-demand queue is available in all Regions. Other queues appear only in the Region where you create them. On the Queues page, in the Reserved queues section, choose Create reserved queue. On the Create reserved queue page, in the General information section, enter a name and a description for the new queue. In the Commitment to purchase RTS for reserved queue section, specify the number of reserved transcode slots (RTS) that you want to purchase. A reserved queue can simultaneously process a number of jobs equal to the number of RTS that you purchase for it. You can optionally use the RTS calculator to help you estimate how many RTS you need. Select the I agree check box to confirm your intention to make a 12-month commitment. AWS bills you monthly for the RTS. After you commit to your pricing plan, you can’t cancel it. On the Purchase RTS for reserved queue confirmation page, review the details of your pricing plan, and then choose Purchase. If you decide later that you want to purchase additional capacity for your reserved queue, you can do so. For more information, see Purchasing Additional Capacity for a Reserved Queue.